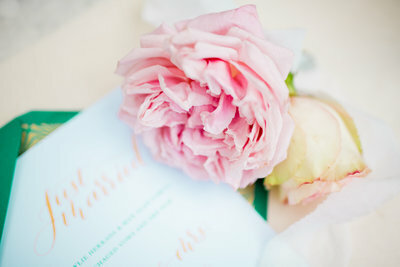 I got asked the question this weekend if going to so many weddings gives me good ideas for my own (in a far future). I at first said no, but Abby and Jack’s Wedding came to mind and I was reminded of how much I love multi-day celebrations. I’ve obviously been to a lot of Weddings, so I LOVE it when couples choose to do things their own way. 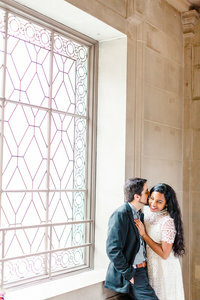 Abby and Jack had their Wedding ceremony at SF City Hall (and who could ever pass up an opportunity for SF City Hall Wedding Photography) and then the next day had the reception for their Wedding at the Presidio Officer’s Club. This made everything so much more laid back and also gave Abby and Jack the chance to celebrate not just for one day, but TWO! Let the party stretch for DAYs! I’m pretty sure I’ve already gushed over how adventurous, fun and incredibly kind these two are (Get a load of their Marin Engagement Photos) and you know I could see where they got it from. Both their fams were just so patient when I grouped them up (cause double wedding days means double the fam photos obvi) and made everything so enjoyable and energizing. This is why I love doing this. 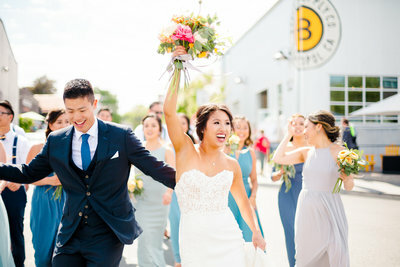 Abby and Jack’s SF love story will always be one of my favs–meeting up for the first time in Dolores Park + Jack’s proposal–so it makes sense that the uniting of their bomb-diggity families and friends and punctuation to their romance would be right here in SF! Thanks Abby and Jack for letting me be a lil part of capturing your story and you bettcha I’m going to take you up on drinks soon!